Don't wait, courses sell out fast - book today! Don't wait, these courses sell out fast - Book today! This course provides participants with the skills to manage common first aid situations that can arise in an electrical services industry environment. It is suitable for people employed as electricians and others employed in the electrical services industry. Entry Requirements: Participants are expected to be electricians or others employed in the electrical services industry. Course length: One day of face-to-face training, practical activities and assessment. This course teaches students the proper administration of Paracetamol and Methoxyflurane to relieve pain. It includes information about the use, storage and documentation of administration as well as ongoing monitoring of the casualty. Entry Requirements – Cardiopulmonary resuscitation (CPR) & Provide First Aid or complete soon afterwards. Note: Attendees won’t be unfairly disadvantaged if they do not have current first aid certificate. For educators and support staff who are required to respond to a first aid emergency. Education & Care First Aid is a course for teachers and carers provides the skills and knowledge required to deliver a first aid response and life support plus the management of casualties, the incident and other first aiders in a range of situations in education and care settings. There are no entry requirements or prerequisites to undertake this training. 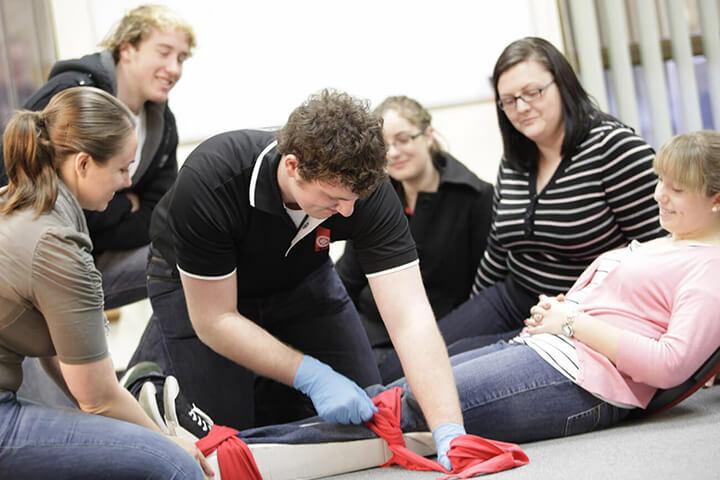 Assessment is through a combination of practical first aid activities and a written test paper.